A quadrilateral is any two-dimensional geometric figure (polygon) with four straight sides and four vertices. The two diagonals of a quadrilateral always bisect one another. 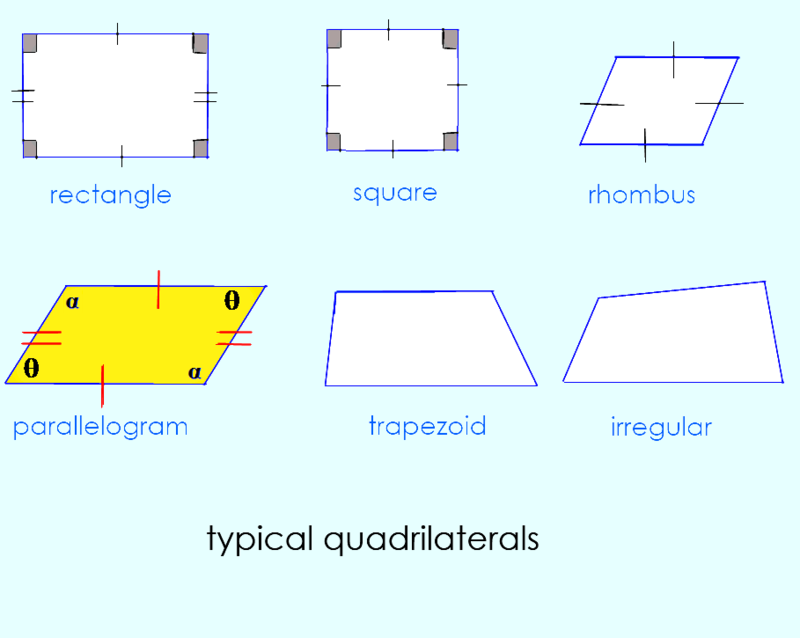 Comments for When is a quadrilateral also a parallelogram? The rectangle, square, and rhombus shown in the diagram are also parallelograms.